Welcome to Vergecast Lonely Paul edition. Dieter and Nilay are out this week, so Paul enlisted some of his colleagues who would never let him down like that and made his own Vergecast that’s centered around talking to people not named Dieter or Nilay. Want to learn what AT&T’s new DirecTV Now service has to do with net neutrality? Want to figure out why nearly all women and nearly everybody actually loves Gilmore Girls? Want to know if video games are good sometimes? Want to experience what it would be like to stand in line for Snapchat Spectacles but not actually purchase Spectacles because you hate lines? Then you’ll probably love what we’ve done here. 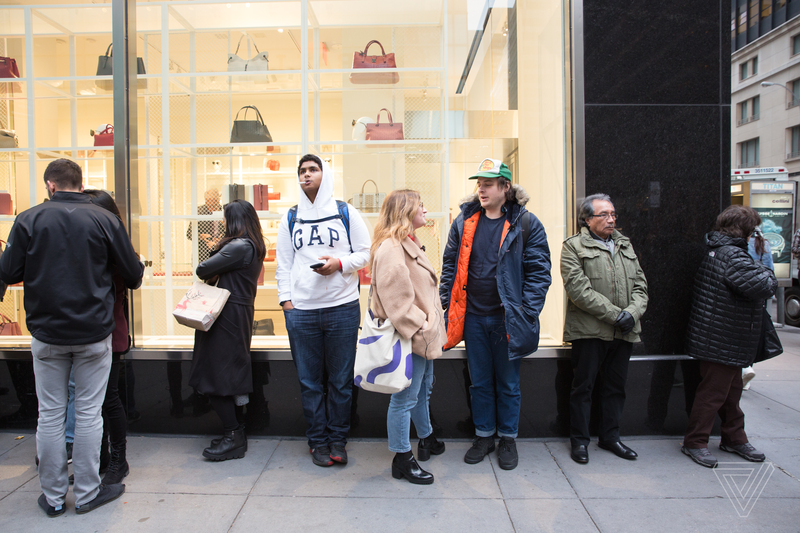 Shoppers lined up as early as 4AM to get a pair of Snapchat Spectacles at the pop-up shop on 59th Street in New York City. If you enjoyed this podcast we’ve been working on all week, The Verge has more you can listen to! There’s Ctrl-Walt-Delete with Walt Mossberg and Nilay Patel, which dives deep into tech. There’s also What’s Tech? with Christopher Thomas Plante, which explains technology in layman’s terms. You might also want to check out Recode Decode, hosted by Kara Swisher, and Too Embarrassed to Ask hosted by Lauren Goode! You can find them all in iTunes, Google Play, Spotify, and anywhere you get your podcasts nowadays.